You can expect our team to exceed your expectations as we are a garage door company for more than forty years. Our customers know they should expect consistent and quality performance any time Car‑Wal Garage Doors is on the job. If you have any garage door or opener needs, just give us a call at our Hamilton office 905-304-9700. Serving the Southern Ontario region, including coverage for Hamilton, Kitchener, Waterloo, Guelph, Oakville, Simcoe, Port Colburne, Brantford, St. Catharine’s, Grimsby, Beamsville, Binbrook and surrounding areas, we are available 24‑hours a day. You can count on Car‑Wal Garage Doors, and if you have an issue with your garage door, just gives a call at 905-304-9700 or complete our online service form. Ancaster is a community within the city of Hamilton, Ontario, and is located on the Niagara Escarpment. Whether you have a more contemporary, traditional or carriage home style, we have a garage door for you. Please visit our image gallery to see all the options you have. Unlike a lot of other company, we can help you for the entire life of a garage door system. Car‑Wal Garage Doors offers complete garage door installation, as well as the service and maintenance you may need in the future. We carry a full inventory or parts to give your doors a special look. We can service and repair any broken garage doors in Ancaster, offering replacement panels, springs, opener repairs, and more. In addition to top garage doors, we offer LiftMaster garage door opener systems. They provide superior performance for commercial, industrial and residential garage door systems, they are the perfect fit for your garage door. 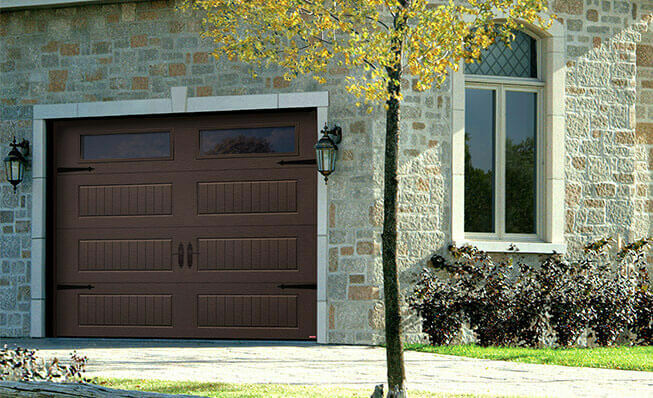 We have been in the garage door industry for many years and know all about the changing weather conditions in Ancaster, ON. We want your home to be cozy during hot summers or cold winters, and that is why we advise customers to invest in an R‑16 thermal resistance insulated GARAGA garage door. The Cambridge and Standard+ models offer good looks and energy efficient performance.